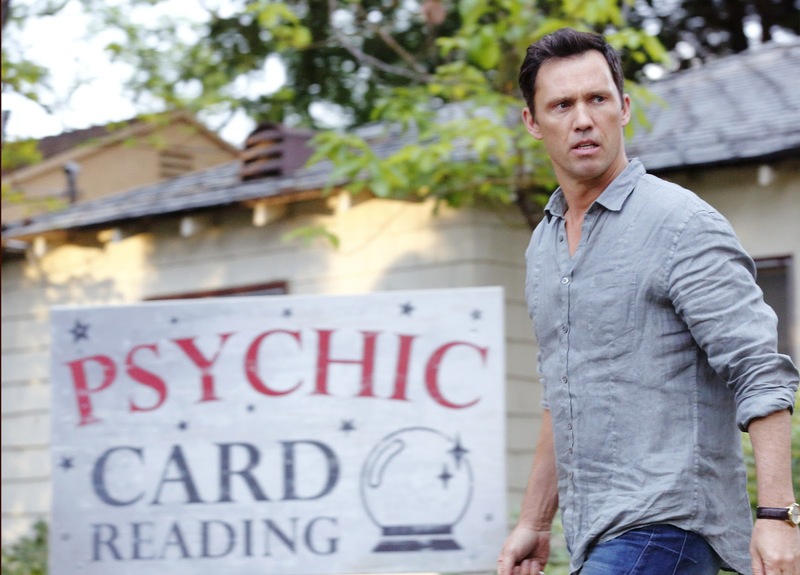 CraveTV announced it has exclusively acquired the 10-episode psychic drama "SHUT EYE" in a deal with Sony Pictures Television. On the heels of its debut on Hulu last Wednesday in the U.S, "SHUT EYE" begins streaming exclusively on CraveTV on New Year's Eve, Dec. 31. Created by writer-producer Leslie Bohem(EXTANT, TAKEN) "SHUT EYE" takes a darkly comedic look at the world of Los Angeles storefront psychics and the organized crime syndicate that runs them. The announcement comes as CraveTV begins offering gifting options, including discounts on 12-month subscriptions, just in time for the holidays and the Season 2 debut of CraveTV Original Series "LETTERKENNY" on Christmas Day. "Today's news furthers our programming commitment to deliver premium, exclusive, riveting series to CraveTV subscribers," Mike Cosentino, Senior Vice-President, CTV and Specialty, Bell Media, said. "A compelling look at the unexplored world of psychics and fortune-tellers, SHUT EYE arrives just in time for CraveTV audiences to add this to their holiday-season binge list." 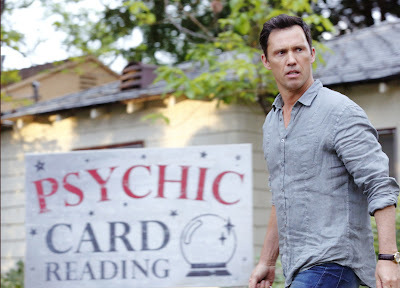 "SHUT EYE" follows Charlie Haverford (Jeffrey Donovan, FARGO, Sicario), a former magician with a small chain of fortune-telling storefronts in Los Angeles. For Charlie, magicians and fortune-tellers both rely on tricks. Charlie's mindset changes, however, after a blow to the head from a client's angry boyfriend. With newfound insight, Charlie questions everything he has ever believed about psychic ability. Meanwhile, Charlie's wife Linda (KaDee Strickland, PRIVATE PRACTICE) is sick and tired of their mediocre life and wants her and Charlie to break free from Fonso Marks (Angus Sampson, FARGO), whose family controls all of the psychic and fortune-telling businesses in L.A.
Screen legend Isabella Rossellini co-stars as Rita, the cunning, seductive, and sadistic matriarch of the Marks clan. For a sneak peek of "SHUT EYE," click HERE. "SHUT EYE" joins the growing lineup of CraveTV Originals – series available only to Canadian audiences on CraveTV. Notable CraveTV Originals include "CASUAL," "MANHATTAN" and "DEADBEAT," among others, as well as original Canadian series "LETTERKENNY" and "RUSSELL PETERS IS THE INDIAN DETECTIVE," coming in 2017. "SHUT EYE" will bolster CraveTV's popular Drama Collection, streaming alongside popular dramas including "BLINDSPOT," "ROOTS," "PERSON OF INTEREST" and "SALEM." From Gran Via Productions and TriStar Television "SHUT EYE" is created and executive produced by Leslie Bohem. Mark Johnson, Melissa Bernstein, David Hudgins and Larysa Kondracki are also executive producing. Created for TV lovers and devoted to television, CraveTV is Canada's premium TV streaming service, providing the most robust lineup of superior television content in the country. From TV's most-acclaimed dramas and beloved comedies to documentaries, music, and factual programming, CraveTV features thousands of hours of premium non-kids TV programming, representing hundreds of unique titles including the entire off-air library of HBO's iconic programming catalogue and hundreds of hours of acclaimed SHOWTIME series and specials. CraveTV is available directly to all Canadians with access to the Internet, as well as to customers of Eastlink, TELUS Optik TV, Bell Fibe TV, Bell Satellite TV, Bell Aliant FibreOP TV, Access Communications, Northwestel, SaskTel, Cable Cable, Hay Communications, Mitchell Seaforth Cable TV, Tuckersmith Communications, Wightman Telecom subscribers, NRTC Communications, WTC Communications, Tbaytel, Execulink Telecom, and VMedia. Available through traditional set-top boxes, mobile apps on iOS, Android, and Microsoft Windows 8.1 and Xbox One, the web, Apple TV, Chromecast, and select Samsung Smart TVs. CraveTV is from Bell Media, Canada's premier multi-media company with more than a decade of leadership delivering Canada's most-watched and most-acclaimed television programming across the Pay, Specialty, Digital, and Network TV landscapes. For more on CraveTV, visit CraveTV.ca.